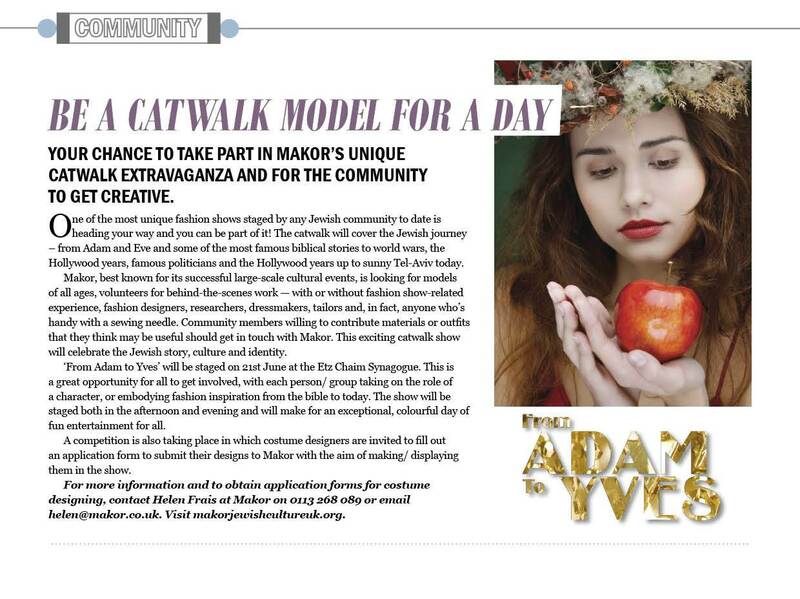 Fancy yourself as a model for the day or are you talented in clothes design? JFest International Box Office Now Open! Get ready for the Jewish cultural highlight of the year! 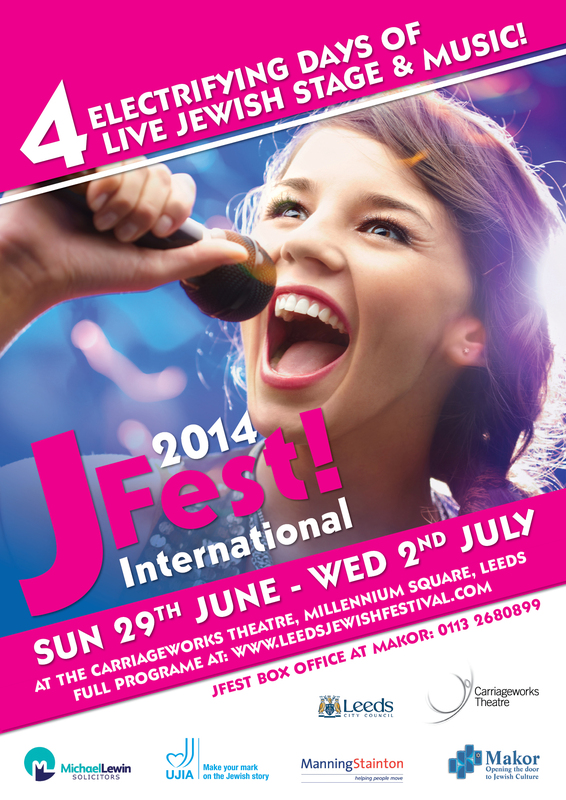 JFest International, 29 June – 2 July at The Carriageworks Theatre, Leeds. Make sure you don’t miss the first ever BIG JEWISH NOSH FEST in Leeds. Love cooking or just love eating? This festival has something to keep any nosher entertained! Food and drink tasting, cookery demonstrations and a diverse buzzing marketplace and NOSH cafe. All this and more at the Etz Chaim Synagogue, Harrogate Road, Alwoodley, Leeds. UK Jewish Film Festival Comes to Leeds! Calling all film fans – Jewish film festival comes to Leeds this November! Three big community events in May! Reliving the Trauma of Combat Situations in the Army, Sam Goodriche Speaks Out About PTSD.